This article is specific to Business Email. 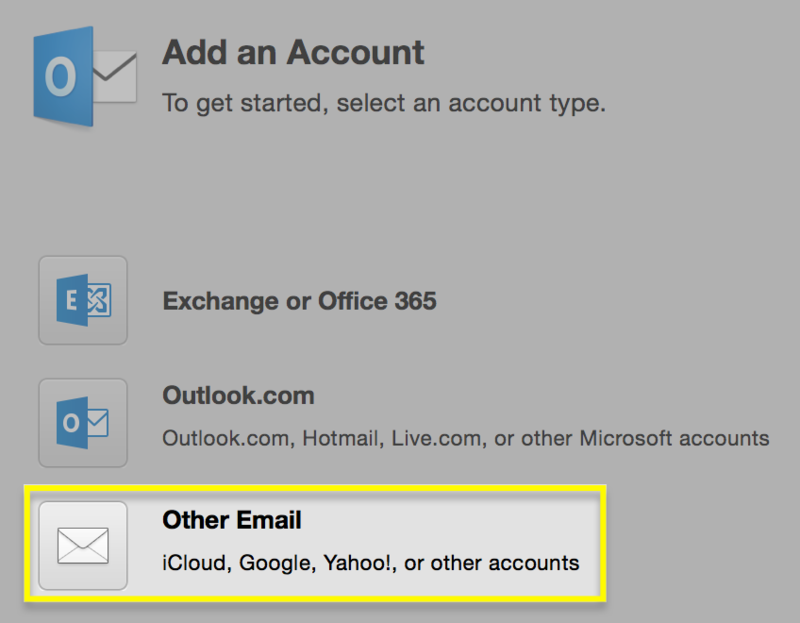 If you have a different type of email, please see Office 365 Outlook 2016 instructions, or Workspace email Outlook 2016 instructions. 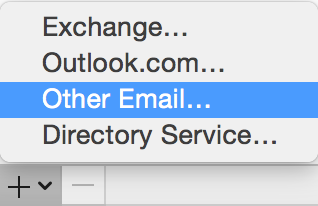 If you have the 2016 version of Outlook on your Mac, you can set it up for your Business Email. 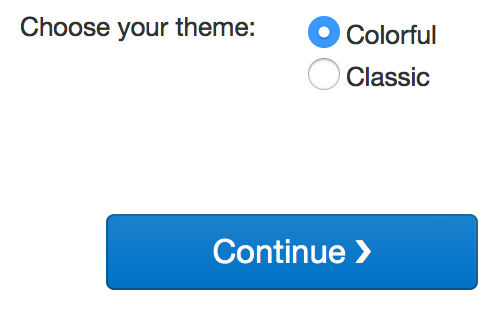 Choose your preferred theme, and click Continue. 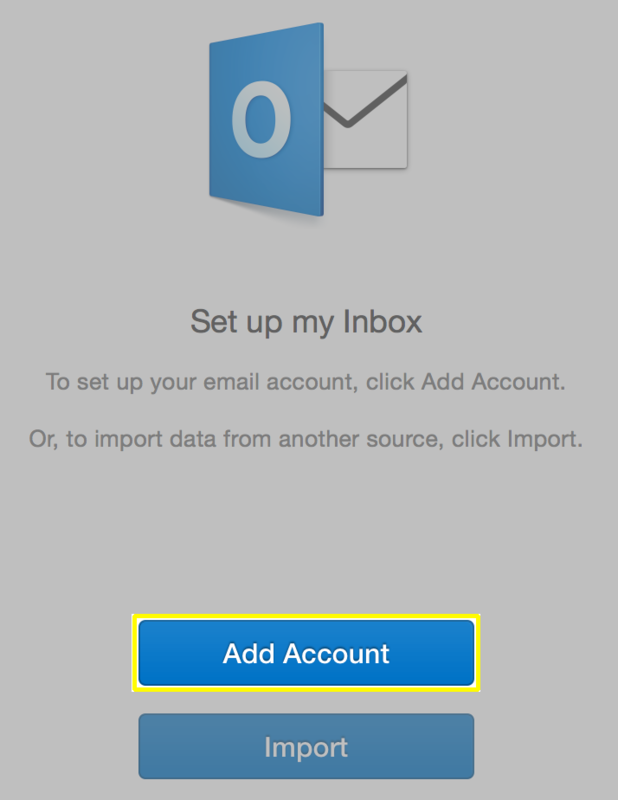 Click the Other Email button. 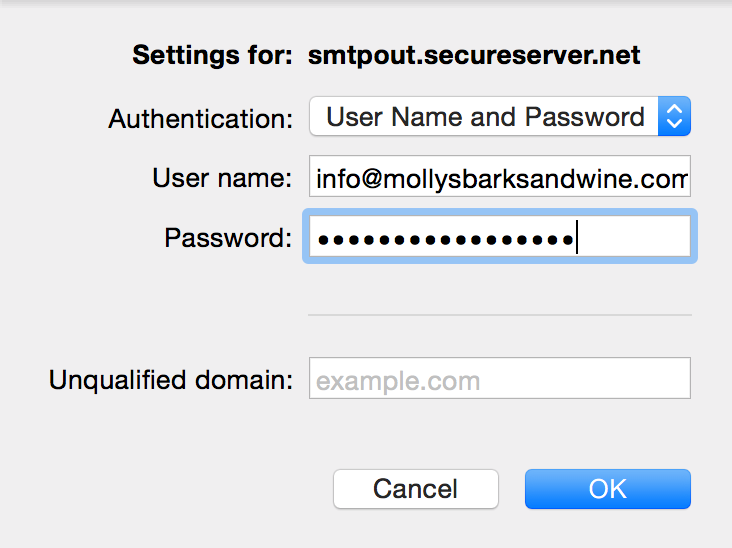 Enter your Business Email address. 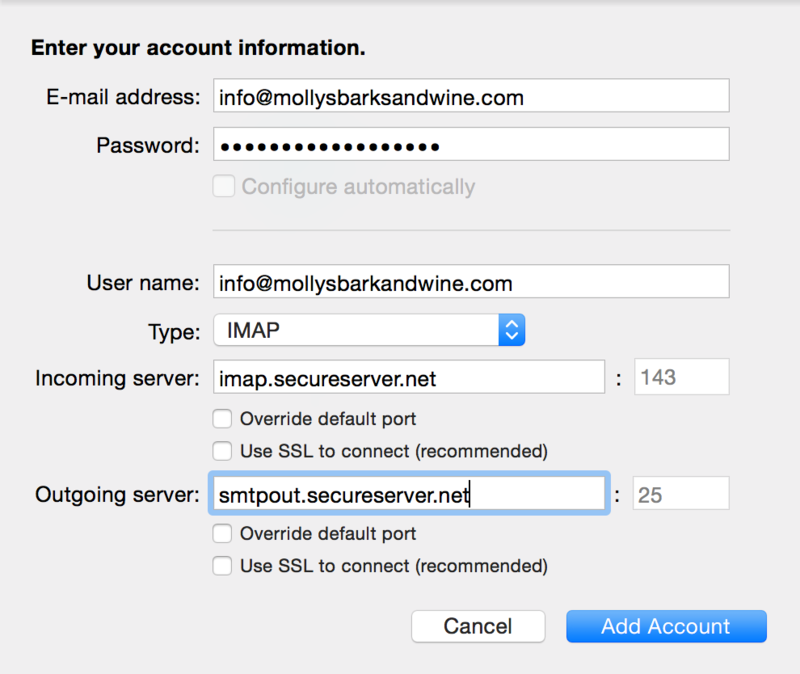 Incoming server, Outgoing server Enter the correct server address for your region, shown here. 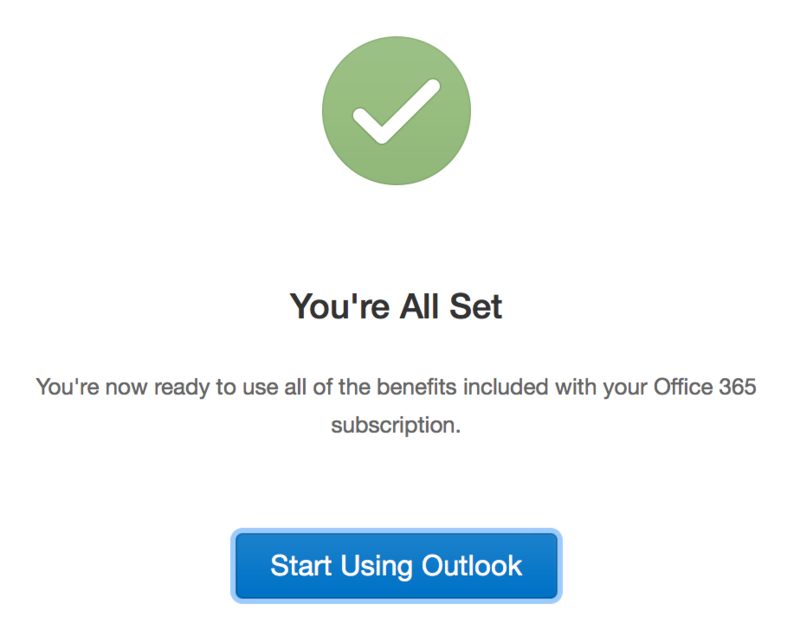 Send yourself a test email message to be sure everything is set up correctly.